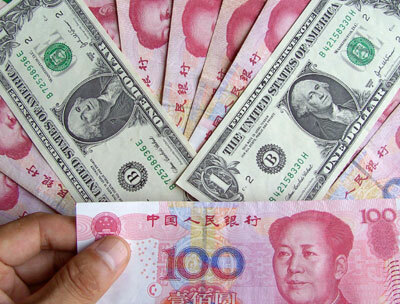 WASHINGTON - The US Senate Finance Committee voted 20-1 on Thursday to give the US government new tools to press China to raise the value of its currency, but the Bush administration said it opposed the bill. The overwhelming vote shows Congress is headed toward passing legislation by a big enough margin to overcome any presidential veto, said Sen. Charles Schumer, a New York Democrat who helped craft the measure. The bill's most significant provision requires the Commerce Department to take "currency undervaluation" into account when calculating anti-dumping duties on foreign goods, said Senate Finance Committee Max Baucus, a Montana Democrat. That could lead to higher duties already in place on many Chinese products, and encourage US companies to seek new duties on additional Chinese goods. The US claimed that its trade deficit with China soared to a record $232.5 billion in 2006 and is on track to surpass that this year. Some lawmakers believe China's currency is undervalued by 25 percent to 40 percent, giving it a big price advantage in the US market and making US goods more expensive in China. The panel vote came just a few days before US Treasury Secretary Henry Paulson is headed back to Beijing for talks, including quicker action on currency reform. "(We) do not believe the approaches taken in the bill reported today would strengthen the hand of the United States in achieving essential economic reform," the Treasury Department said in a statement. A faster appreciation in the yuan was not a panacea to the broadening U.S.-Chinese trade deficit or other ills, such as losses in manufacturing jobs, Federal Reserve Chairman Ben S. Bernanke said last week. Sen. Maria Cantwell, a Washington Democrat, said she voted against the bill because she feared China's reaction. "I do have concern this bill will be perceived as protectionist" and invite retaliation, she said. Boeing Co. is one of Washington's state biggest employers, and China is one of Boeing's biggest customers. China has made it clear that it won't cave in to US demands for faster gains to ease the US trade deficit, saying a "large" appreciation of the yuan would hurt China's economy. The yuan's value wasn't the cause of the deficit, Wu said at a dinner in Washington attended by Paulson and Federal Reserve Chairman Ben S. Bernanke in May. About 85 percent of China's surplus with the US is from foreign companies exporting products no longer made in the US, such as shoes, she added. Baucus described the bill as a broad compromise that puts pressure on both the Bush administration and China without running afoul of World Trade Organization rules. "Today China's renminbi is the focus of our concerns. Tomorrow another economy's currency may threaten even more devastating effects," Baucus said. The bill would repeal current law requiring the Treasury Department to determine every six months whether a foreign country is manipulating its currency for a trade advantage, and replace it with a new semi-annual report identifying countries with "fundamentally misaligned currencies." Sen. Charles Grassley, an Iowa Republican, said the legislation would force the Bush administration to stop "pussyfooting" on the issue by establishing clear criteria to identify countries with fundamentally misaligned currencies, and requiring penalties -- such as increased anti-dumping duties -- if they fail to make reforms within 90 days. Another provision would let the Federal Reserve intervene in global markets against the misaligned currency if the country has not made appropriate reforms one year after being cited by the United States. Several senators wanted the bill to define undervalued currencies as a government subsidy to allow US companies to seek potentially larger duties on Chinese goods. Baucus and Grassley fought that approach on the grounds that it would violate WTO rules. But others disagreed and said they would push for that provision in the final bill that emerges from Congress. In its statement, the Treasury Department said it feared the Senate Finance Committee's bill could violate international rules.